Golf clothing is a key factor for a successful and enjoyable round of golf, and we have the apparel you need: polo shirts, long sleeve shirts, mocks, jackets, pants and much more. 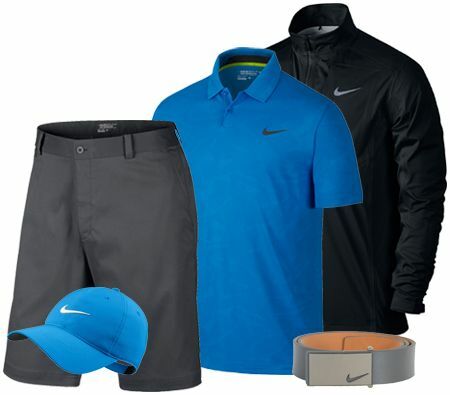 Modern golf clothes utilize the best fabric technology to control sweating, block excess wind, and shed precipitation. By using lightweight fabrics, stretch panels, and innovative weaves the manufacturers are able to provide golf apparel that flows with the body instead of clinging. Modern golfers want to look good and be comfortable, so choosing the right golf shirts, golf pants, golf hats, and golf accessories is crucial.